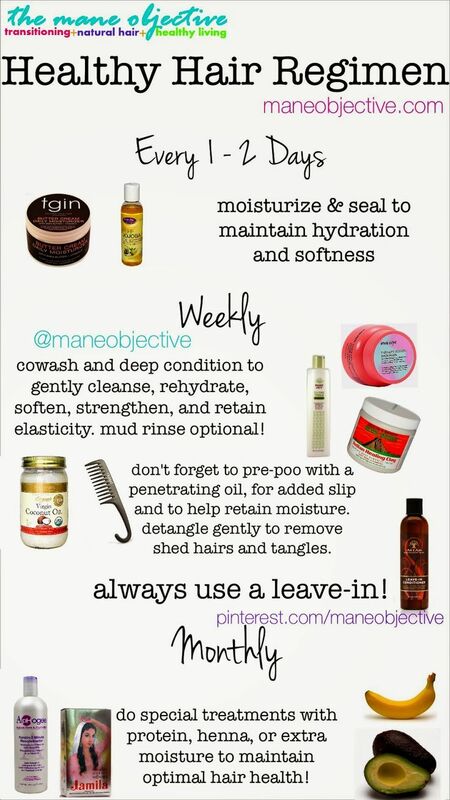 I found this great infographic on Pinterest that outlines how to create a healthy hair regimen. For more details on creating a healthy hair regimen, check on my post from earlier this year. Posted on May 12, 2015, in Natural Hair and tagged Hair Regimen, Moisturize Natural Hair, Natural Hair Regimen, protein treatment, shampoo. Bookmark the permalink. Leave a comment.